All of the 1930's thru 1970's Chrysler products used left hand and right hand lug nuts to secure their wheels but now days only trucks (I believe) use this superior method to prevent taper-seat lug nut loosening. Does anyone know why this method was discontinued for cars and light trucks? Was it because most people tried to tighten or loosen their lug nuts backwards? 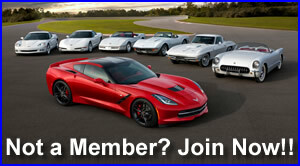 And.....how does this apply to Corvettes? I tend to agree with this...... Thinking I need to move this. As you may recall the racing Corvettes often used left and right hand three-spoke center knock-offs instead of 5 lug nuts. And then a leaded hammer was used to tighten or loosen them. The reason being the dynamic forces on the knock-offs kept them tight. In engineering left hand threads are often used for the same reason. If I recall correctly the C2's were available from the factory with center knock-offs as an option but very few were ordered that way. 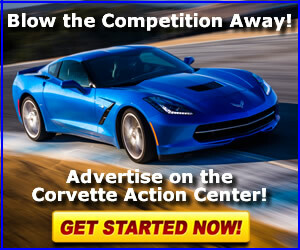 Google "Corvette Wheel Center Knock-Offs" for more detail. Was it because most people tried to tighten or loosen their lug nuts backwards? I bought the wife a Volvo S60 turbo amd intercooler . She found the fix-a-flat and air compressor instead of a spare in the trunk funny. It's the same as the Corvette. A lot of today's new cars do not have a spare. anymore. Personally, I doubt the average driver of today would know how to change a tire. Since Im a class 8 monkey we still have some early tractors/trailers with the Budd rim's . 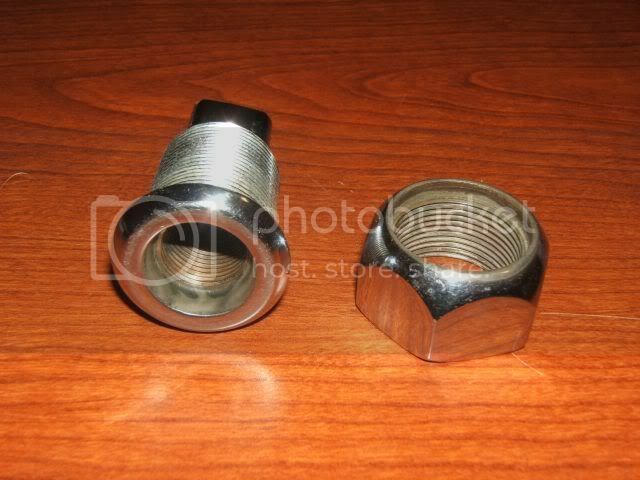 Thay have inner & outer lug nuts 20 per dual rims. 10 inner/10 outer. Their marked L&R for dummies like me. .Now it's Hub Piloted Rims, only 10 per dual/no L or R ,both are a PITA. The left hand lugs on Chrysler stuff up to 1970 was a PITA - even for those of us working in garages at the time. Back in the '60 I had a '65 Dodge, '69 Charger and '69 RoadRunner. So, remembering wasn't that hard. My Charger was an R/T with the 440 engine and it had drum brakes. They didn't stop well more than once from triple digit speeds. I found that the '71 Sport Fury disc brakes would fit on the front of the Charger, so I bought uprights and all an did the refit. The '71 Fury had right hand lug nuts all around. So, I ended up with three corners with right hand threads and one, the left rear, with left hand threads. I should have knocked out the studs on that axle and swapped them for right hand studs but I never did. This was one of the quirks I had to tell the next owner. noise coming from left hand headlight when shutting down?